We all know that there are a large number of unit conversion tools already on the Windows platform, but there always seems to be plenty of room for at least one more. 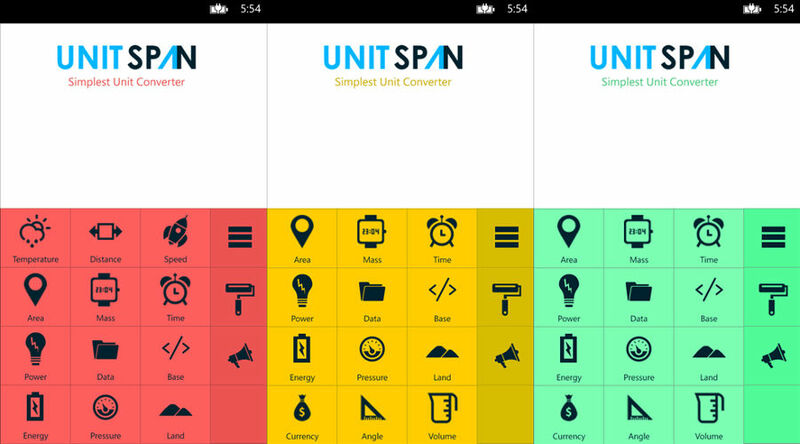 Unitspan, a conversion app from developer Softarch Technologies is actually one of the more gorgeous ones available in the Windows Phone Store. Not only is it ad-free, but it also doesn’t cost you a dime. The app comes with a beautiful layout that matches the colorful UI of Windows Phone perfectly. Unitspan positions itself well versus other conversion tools on the platform in this regard, and its elegant design makes it arguably one of the best conversion apps around. 30 most important currencies, updated automatically. Overall, Unitspan proves to be not only useful, but elegant, and I’d recommend it as a tool for anyone who requires both as requirements for apps they care to use, whether it be for personal or professional use. Download it via the QR code above. What conversion tool do you use?